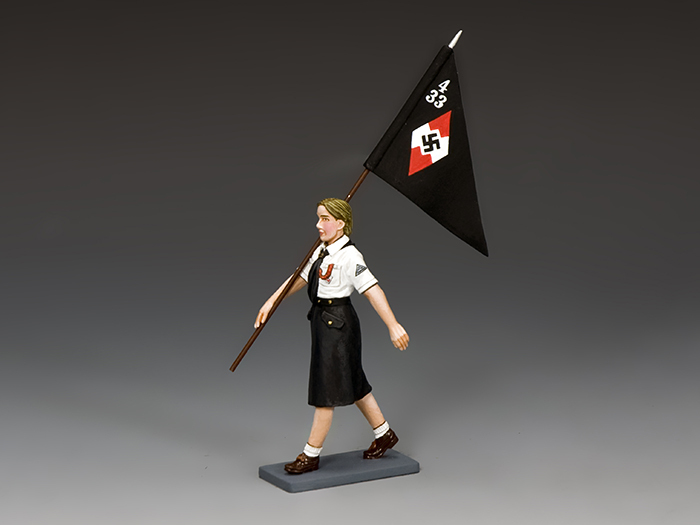 The BDM like the rest of the Hitlerjugend (Hitler Youth) was organized at both a local and national level into troops and districts... 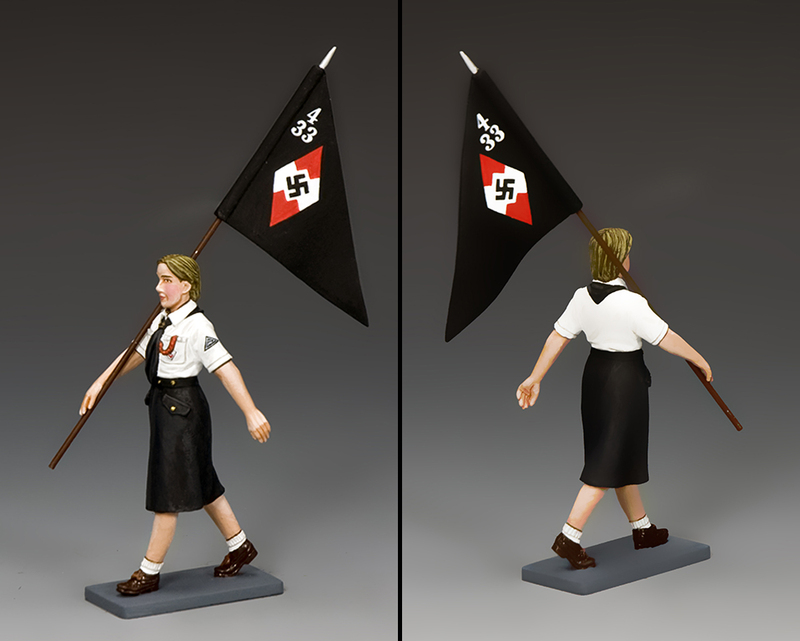 Similar to pre-Nazi Boy and Girl Scout groups. Each local ‘troop’ might be anywhere from 30-100 members and had their own individual BDM pennant, a medium-sized triangular flag design in black complete with the HJ diamond and the group/troop number in white. Our marching BDM girl carries the pennant over her right shoulder.